See Provence’s major highlights, and tailor your itinerary to suit your interests, on this full-day, private tour. Don’t worry about logistics: meet your guide directly at your accommodation or port in the morning, and travel in a comfortable, air-conditioned minivan. 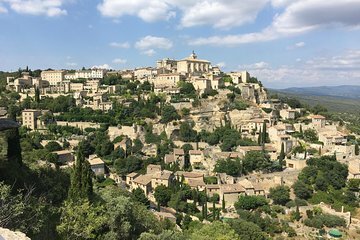 Choose between several different itineraries: discover Avignon and the Luberon region; visit Arles and the rugged Alpilles; or venture to Marseille, Cassis, and Aix-en-Provence. As you go, learn more about the sights from your driver’s commentary.